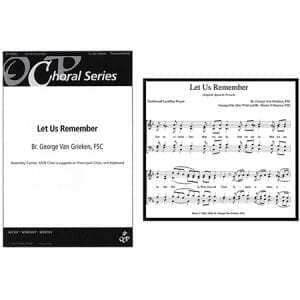 This is a SATB setting of the phrase “Let us remember that we are in Holy Presence of God.” It is based on a simple melody that became the basis of a choral setting, one that went through two iterations by two different composers. As such, it is a collaborative Lasallian effort. 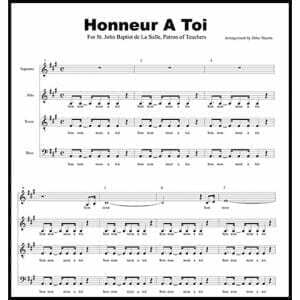 It may be used to begin prayer services at schools, school events, choral concerts, or other settings where a short, reflective choral piece would be an asset.